As leading Mortgage Brokers in Kitchener-Waterloo, Cambridge and throughout Ontario, we advise you through the process step by step. Rather than overwhelming you with a vast amount of mortgage information upfront, we provide bite-sized pieces of information, one step at a time that you’ll understand and feel confident about. We provide the lowest mortgage rates in Ontario. Period. We work with several leading Banks and mortgage lenders and use our high volumes to obtain the best lender rate. Then Altrua discounts these already low rates beyond our competition. The result is the lowest rate – just check out our rates or contact us today to learn more! Whats the point in saving $3000 with a low rate if there are narly tricks and costly surprises hiding in the fine print? We guide you through the fine print pitfalls and provide advice on what to watch out for. Get the best rate AND the best mortgage. Our customers appreciate more that only the best rate. 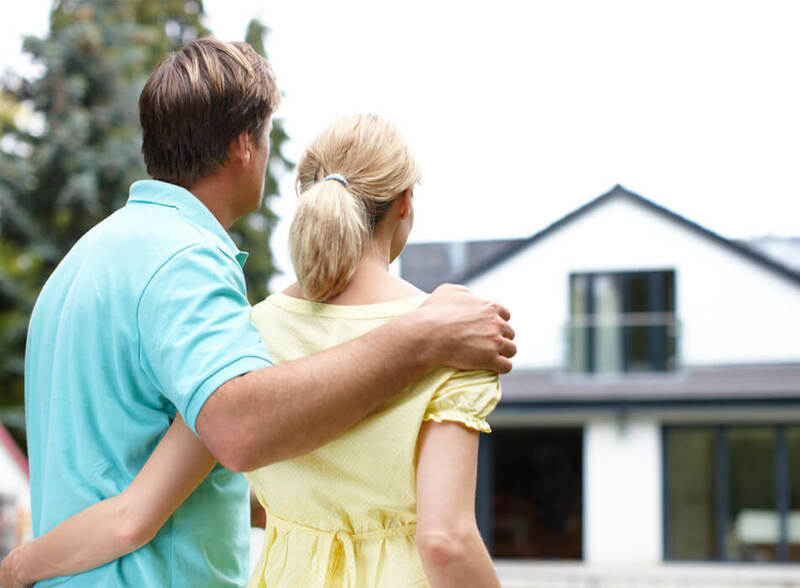 A mortgage is a long-term endeavor, and we aim to partner with you until it is paid off. Well over half of mortgage holders want to make a change within a 5 year term. This could be a move, a home equity line or a host of other reasons. Then there’s the renewal date after the term is up – when we will shop for the best rate again. So instead of a one time savings, you’ll confidently save again and again over the life of your mortgage. Dangerous and costly fine print restrictions to look out for. A pre-approval is an excellent first step that can give you valuable affordability information and confidence when shopping for your first place. Also, a pre-approval can protect you for up to 120 days in case mortgage rates increase while you are house hunting. If rates go lower, the lower rate is honoured, but if they go higher, you would be protected. All required paperwork should be gathered during this state too. Contact us for a free, no obligation First Time Buyer consultation for more information on pre-approvals. After hours and days of house hunting, you’ve found the right place and its time to make an offer to purchase. In most cases the offer to purchase will include whats called a ‘Financing Condition’. The Financing Condition gives us time to go from a pre approval, to a full mortgage approval. This takes about 24 hours for the lender approval, and then another 24 hours for the lowest rate lender to review your employment and other required documents. Once the documents are ‘satisfied’ by the lender, you should be safe to waive the financing condition. Congrats, you’re now a home owner! Your accepted offer to purchase and mortgage have all been arranged. Now its up to your lawyer to put it all together, handle the down payment funds, mortgage funds, transfer of funds to the sellers lawyer, and register your name on the land title. Once you have finalised and signed some additional documents at the lawyers, he or she will give you the keys on the closing date. At Altrua, we are in it with you for the long run and will be back in touch soon! Using RRSP savings towards the down payment of your first home is an excellent strategy that can help save you thousands of dollars. The Home Buyers Plan allows for up to $25,000 of RRSP money to be used towards your purchase, and if purchasing as a couple, up to $25,000 each for a total of $50,000. The only ‘catch’ is that the RRSPs must be repaid starting in the second year after the purchase, at 1/15th of the RRSP value per year. How do RRSPs save me money under the Plan? When savings are accumulated in an Registered Retirement Savings Plan (RRSP), a tax refund is released by Canada Revenue Agency at tax time in the following year. This is because for every dollar saved in an RRSP, taxable income is reduced by this exact amount. And because taxes have already likely been paid on this income by your employer, it would be returned to you at tax time. So when RRSPs are purchased, you can get a tax refund – but when RRSP money is ‘sold’ – this adds to your taxable income and there are more taxes to be paid as a result. What the Home Buyer’s plan allows for is RRSPs to be sold for the purpose of down payment, TAX FREE, within the year of the purchase. So you get the benefit of the tax refund and do not have to repay this on the sale of the RRSP when using the programme. Required RRSP Savings : Minimum $1,000 per year for 15 years. Do I qualify for Home Buyers Plan? RRSP funds must be in the account for at least 90 days before the withdrawal. RRSP funds must be withdrawn within 30 days after the closing of the purchase. You have entered into an agreement to purchase a qualifying home. You cannot have owned a house within the past 4 years. If buying with a spouse who has owned a home in the last 4 years, you cannot have formally lived in this house within the past 4 years. If purchasing with a spouse, ensure the spouse with the highest earnings maximizes their RRSP first. If down payment funds are not available to purchase maximum RRSPs ($25,000/ person), consider taking out a low interest RRSP loan, receiving the tax refund, and then cashing the RRSP to repay the loan in the year of the purchase. Do not invest RRSP funds into anything risky or that will lock funds in for long periods. Money market mutual funds or RRSP savings accounts work well. Do not forget to begin saving in your RRSP in the second year after your purchase. In the Province of Ontario – first time buyers receive an instant rebate of up to $2,000 on their land transfer tax closing cost. Given this, the maximum house price that would not require any land transfer tax is $227,500 – and the land transfer tax would begin accumulating from this price point and upwards. In the City of Toronto – because of the additional land transfer tax closing cost specific to the City, there is also an additional rebate for up to $3,725 which would cover up to a $400,000 home. The Toronto Land Transfer Tax would begin to accumulate from this price level and upwards. The Government of Canada allows for a non-refundable tax credit of up to $750 to First Time Buyers. The credit is intended to help cover the closing costs including legal work, land transfer tax paid, home inspections and other related closing costs. Ensure you keep records of your receipts and understand the rules surrounding this credit.